The Review Round-Up this time around will combine both October and November together for one nice and tidy round-up. The first review of November takes us to Tokyo, where Kunio and crew are cleaning up the streets of gangs and their goons. It's River City: Tokyo Rumble, and here is the SuperPhillip Central review. River City Ransom originally released on the NES almost two decades ago. 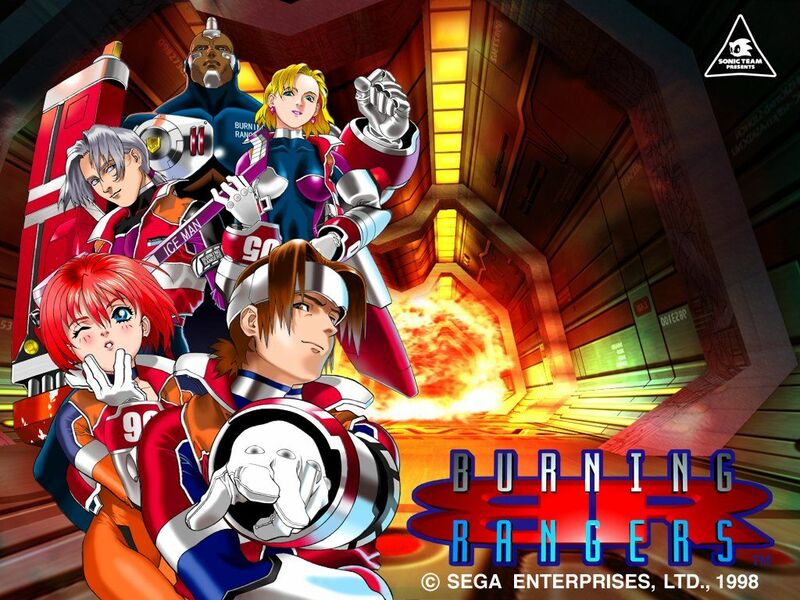 It revitalized a genre and throughout its life as a series, has seen small commercial success, but success nonetheless. This success has culminated in an all-new entry for the Nintendo 3DS, celebrating both the past and present of the River City name and cast of characters such as the starring character, Kunio, who by the way is celebrating his 30th anniversary in Japan this year. Thus, a celebration of both Kunio as a series and River City Ransom, a sequel is here: River City: Tokyo Rumble. Kunio himself is a high school student and renowned tough guy who earns massive respect from both kids and gangs throughout Tokyo. When he's tricked into fighting against a friendly rival, he gets word that a new, mysterious (and very dangerous) gang has taken over the nearby suburbs and neighborhoods of Tokyo, desiring to expand their ranks even further throughout the city. 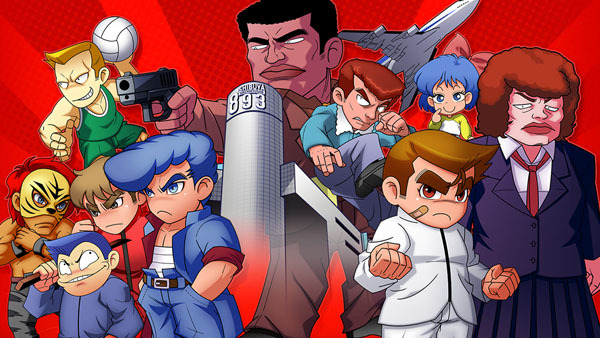 Not one to back down from a fight, Kunio and friends prepare for a series of beat-downs on a wide variety of goons that stand in their way, making sure that Tokyo stays under friendly skies. The story is one that is very much lighthearted and features plenty of humorous moments. My personal favorite scenes are when Kunio's in class, and his teacher constantly scolds him. Rather than fret, Kunio simply gives her a one-liner and calls her "babe", which seriously makes her unhinged, to the indifference of Kunio. As Kunio would say, "Relax, babe. I've got some streets to clean up first." River City: Tokyo Rumble is a beat-em-up similar to Double Dragon in combat, but its structure is much more open-ended, featuring a sandbox-style world. As you progress through Tokyo Rumble, new parts of Tokyo open up to visit via train. Each district of Tokyo features different sights as well as different groups of thugs and delinquents that don't take too kindly to Kunio and company entering their turf. Each area of Tokyo comes complete with a shopping district, where you can spend money earned from downed foes to purchase a health-restoring meal now or purchase health-restoring items for later, new moves via scrolls, equipment to boost stats, and in the opening area of Tokyo Rumble, a place to take on jobs for money, unique items, and special scrolls. These jobs, which you can only accept up to three at a time, run the gamut of finding a specific character, defeating a certain amount of enemies, taking out a special character, among many other types. This adds to the longevity of Tokyo Rumble, and is great for those that want more out of the game. Matsuo's day had no hope of being lucky as soon as he decided to take on Kunio. If you've played a brawler or beat-em-up like the aforementioned Double Dragon or Streets of Rage, then you should very much be comfortable with what River City: Tokyo Rumble's gameplay is all about. Like clockwork, as Kunio enters a new screen, a band of misfits wishing to take him down with come running at him. Combat is as simple as punching and kicking at first, but you can use the previously mentioned scrolls add some dynamic moves with not just visual flair but power to defeat enemies more efficiently. What was once a limited move set quickly becomes more interesting with a series of suplexes, throws, repeated punches and kicks, and more. As you move on to new areas of Tokyo, the variety of scrolls and the moves they teach become more extravagant and fun to use, such as a whirlwind toss that flings an enemy from one side of the screen and has them falling down from the opposite side. Cleaning up the streets through any means necessary-- including chucking some gangster garbage aside. In addition to punches and kicks, weakened foes can be carried, tossed, and be given punishment by Kunio and friends. Dazed enemies aren't the only things that can be picked up either. Sprinkled throughout each screen are weapons that can be used against enemies-- things like trash cans, baseball bats, and even bicycles. Of course, enemies can also use these weapons against you as well. While there is some variety with the means Kunio and company can use to dispatch foes, you sort of get into a repetitive gameplay loop where you're using the same attacks to defeat enemies. Kunio is strong enough to take a swath of goons out by himself without much of a hassle, but when you factor in his ability to level up, increasing his strength, the action pretty much plateaus at a certain point. This makes the game quite easy, especially when Kunio gains the ability to have a partner. 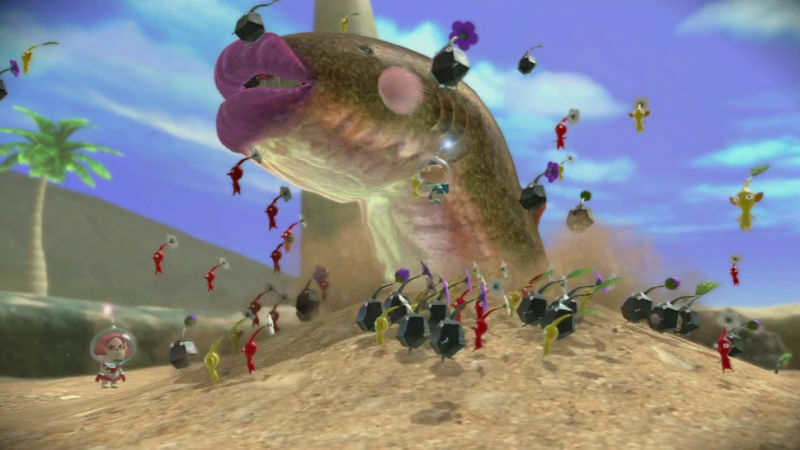 Taking out generic groups of enemies is effortless, though boss characters do present a little bit more of a challenge, requiring some elegance in combat. Speaking of Kunio's partner, by the end of the game, you have the choice of three partners to work with. Unfortunately, if you wish to switch one out with another, you have to return to the start of the game, Kunio's high school. This became a pain having to return to an out-of-the-way point if I wanted to change partners, so I just kept the same one the entire game. There's no disadvantage in doing so, especially as each partner starts at a low level, making it essentially worthless to switch to a weak partner late in the game when you already have a competently leveled partner as is. Sometimes chivalry is hard to do when a group of gals wants nothing more than to bash your face in. As I stated, each screen basically presents Kunio and pals with a new batch of foes to beat down. Sure, the wide range of moves available to Kunio and the ease of using said moves make for some fun, but it doesn't take too long for repetition to set in. Thankfully, River City; Tokyo Rumble isn't a game where you're beating up enemies for 10-15 hours. Instead, the game is fortunately a short affair, lasting about five hours to reach the end. A New Game+ option opens up after initially beating the game, allowing you to play as a main character besides Kunio, if you so desire. Alongside the story mode, which is obviously the main asset of Tokyo Rumble, the game also features two side modes: Dodgeball and Rumble. 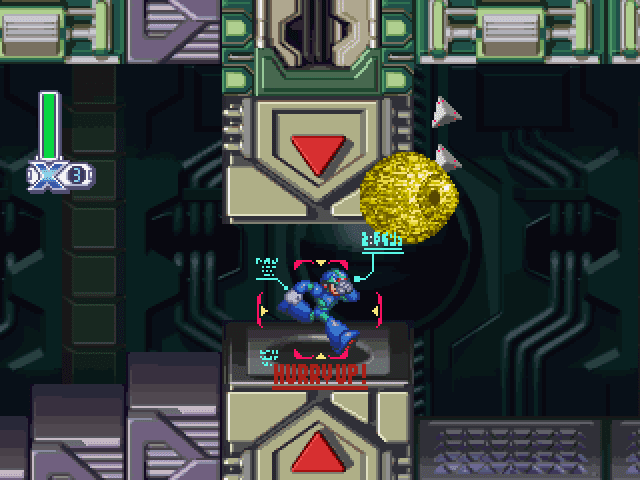 The former has two dodgeballs and four characters, with the dodgeballs being the only way of dealing damage to enemies. The last player with health remaining wins. Meanwhile, Rumble is a more traditional free-for-all battle mode where it's like a four-way street fight of sorts. Download Play is available for both of these modes, though an absence of online play is a bit disappointing and will very much limit your enjoyment. Regardless, going back to the main menu is encouraged, as playing through the story unlocks an abundance of characters, stages, and pieces of music to check out and use in these side modes. Tokyo Rumble was designed to look akin to the NES original River City Ransom while also offering some visuals tricks for the modern era. 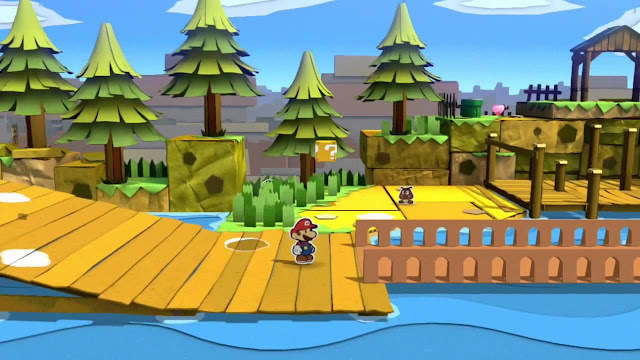 While sprites are 2D and NES-like, the backgrounds and buildings feature 3D geometry. It's nothing too engaging for the eye, but it works. What doesn't work so well is the 3D effect. It's not horrible by any means, but character sprites can look weird depth-wise as some that stand behind a character can look more pronounced than those in front, creating a strange effect. Sound-wise, Tokyo Rumble presents the player/listener with an assortment of rock tracks, some more memorable than others. They very much fit the action, but you might not find yourself humming the majority of them after you're done with a session of play. 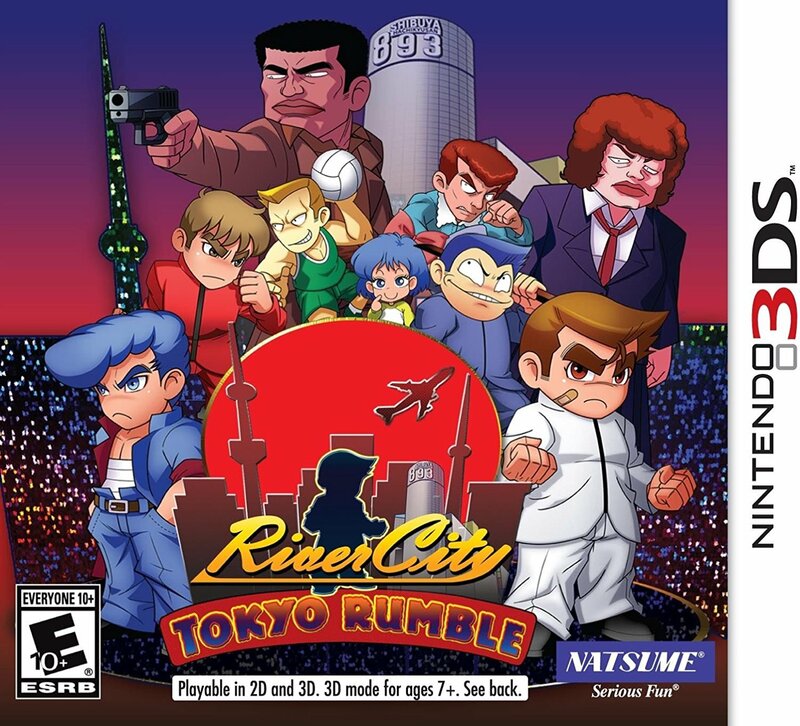 River City: Tokyo Rumble will gel well more to people who enjoy brawlers and beat-em-ups, and the type that will stick with the game despite its repetition. 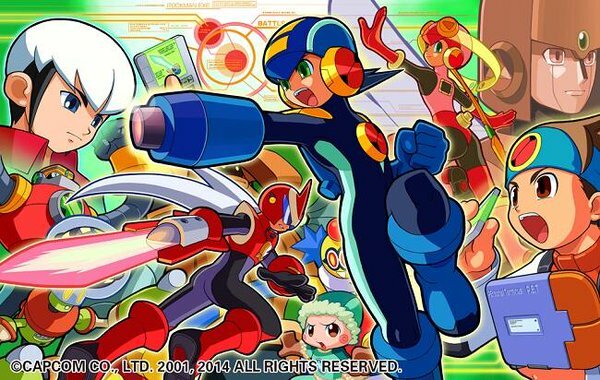 It's hard to recommend to casual fans of the genre, as one can get a full experience with much cheaper options on the Nintendo 3DS system, such as the original River City Ransom on Virtual Console and 3D Streets of Rage 2.